Featuring – among many others – brilliant mathematicians Archimedes of Syracuse and Charles Babbage, celebrated scientists Michael Faraday and Alfred Nobel, and photography pioneers Nicephore Niépce and George Eastman, the How It Works Book Of Great Inventors & Their Creations is the ultimate guide to learning how these geniuses worked and what incredible inventions earned them their rightful place in history. Feature - 10 inventions that changed the world. 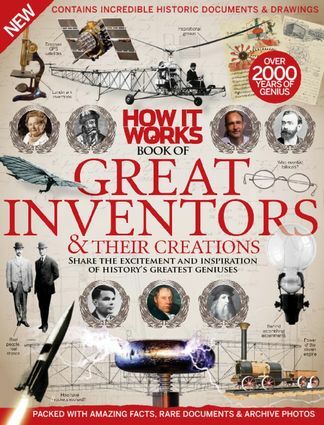 Inventors - Discover how the world's greatest inventors created their innovations. Inventions - Explore archaic apparatus, examine medical breakthroughs, and understand how technological systems evolved. 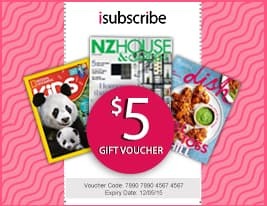 Historical artefacts - Read selected pages from inventors' books, and analyse technical drawings, diagrams, study notes, letters and diary entries. Be the first person to tell us what you think about How It Works Book of Great Inventors & Their Creat and you'll save $5 on your next purchase!